A Metro Vancouver woman with albinism says a popular chain restaurant is going too far with its branding of a particular beer and chicken wings menu item. A Metro Vancouver woman with albinism has launched a human rights complaint against a popular chain restaurant, saying the restaurant's "albino" branding of menu items is going too far. Ikponwosa (I.K.) Ero filed a complaint with the B.C. Human Rights Tribunal against Earls Restaurants over its "Albino Rhino" line of beer and "Albino Wings Wednesdays." The complaint alleges that the marketing of the "Albino" line is demeaning to Ero and all people with the genetic condition known as albinism and is being done deliberately to evoke a sense of oddness about being albino. Ero said naming menu items after medical or genetic conditions is not commonly acceptable. In her complaint, Ero noted that she was born in Nigeria, where people with albinism are often targeted for ritualistic murder. The threat of violent persecution was part of the reason she and her family fled to Canada when she was a teenager. Mark Barry, vice-president of human resources with Earls Restaurants, issued a statement that said Earls created and named its house beer "Albino Rhino" 25 years ago and in no way meant to be discriminatory or offend. "The name was chosen because it was fun and whimsical in sound and denoted something rare and special – we felt proud to have such a beautiful animal, the white rhino, representing our brand," Barry said. 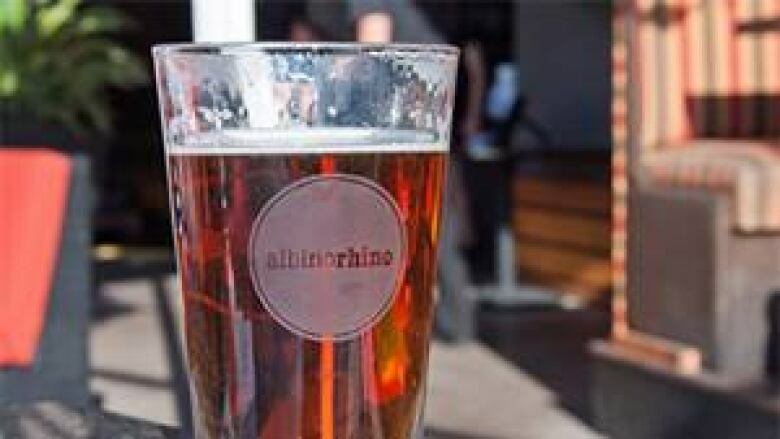 He said Earls does not believe that the use of the white rhino logo on beer or the name Albino Rhino reflects any intended or unintended discrimination against people with albinism. Albinism is caused by one of several genetic variations that make the body unable to either produce or distribute melanin, the substance that gives colour to hair, skin and the iris of the eyes.